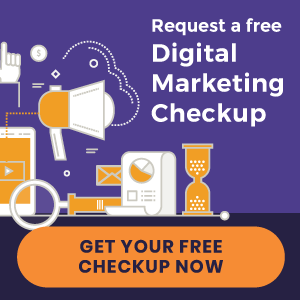 Digital marketing and chiropractic care are closer related than what it might seem at first sight. Just as chiropractic has its own vocabulary, so too does chiropractic digital marketing. They both may seem intimidating but once broken down are much more relatable and accessible. Let’s break down the topic into a few key terms together so that you can use marketing as a tool to grow your practice. Okay, now let’s talk about the different types of electronic media we use in digital marketing and the ways in which we measure the success of those efforts. The act of comparing the traffic from search engines (organic) to the traffic from paid channels such as social media advertising and pay-per-click like Google AdWords. These two types of traffic – organic and paid – are the pillars of all other digital marketing techniques. You can categorize most other digital marketing terms into one of these two options. For example, when viewing your average Google results page you see both organic and paid search results. At the top there are the AdWords listings which are the paid links. Then, you’ll see the local pack with the Google map and the top chiropractors in the area. Then after those options are the organic links solely based on their search engine optimization. SEO has become an art form. The best and most effective chiropractic SEO strategies will center around high-quality content written to persuade new patients to choose you. There are endless blog posts written about SEO (we’ve written several specifically for chiropractors) but at the end of the day it’s all about getting more traffic to your website via a search engine. 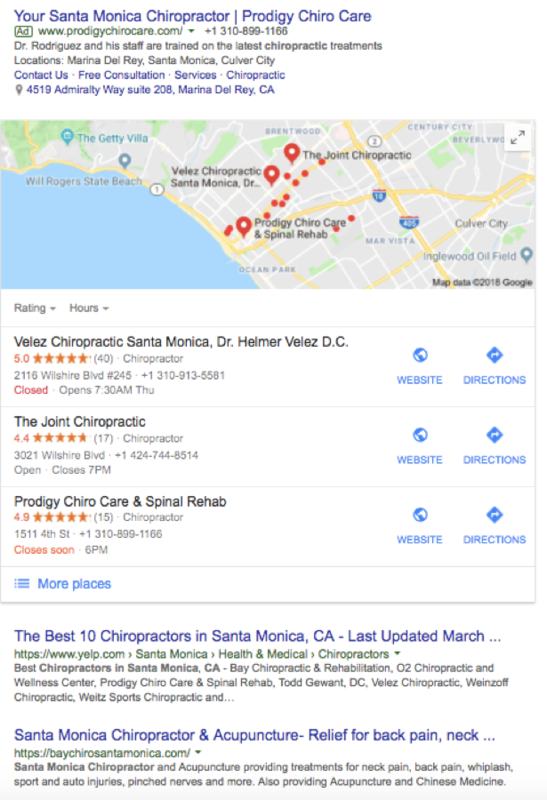 So, if SEO has seemed confusing to you in the past, just keep in mind that it boils down to getting the people searching for a chiropractor in your area to see and click on your website in the list of results. Meta tags help Google display a description and accurate title of your website in the results. As many prospective customers’ first impression, these little boxes are important to fill out and make sure they are correct. 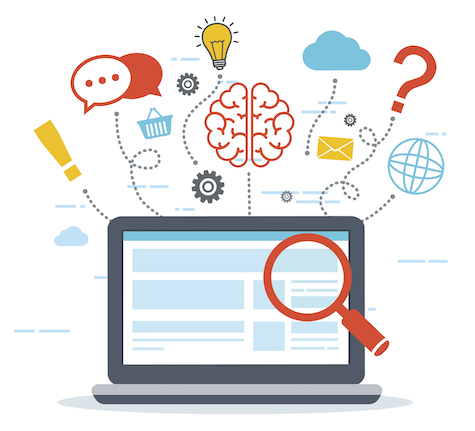 Conversion is most often used as a measurement of a digital marketing campaign’s success. When the target audience responds to your call-to-action (CTA – more on that later), then that is referred to as a “conversion”. It could be changing someone from a prospective customer to an actual customer or from a stranger to an email subscriber, or even just getting someone to like your Facebook page. You may recognize the term conversion from Facebook ads since this is a type of campaign you can set up. With this type of campaign, Facebook is giving you the option to track (and sometimes be charged by) the number of people who perform your campaign’s desired action – click, like, subscribe, etc. While many people think high search engine ranking automatically equals higher conversions and more new patients, that’s not always the case. Perfect Patients actually discovered this the hard way. We had a client leave us who was ranking #1 for their keywords but not getting more new patients. This is where we discovered the art and science of conversion. It involves much more than just SEO and includes content marketing and engaging with website visitors in an authentic way. 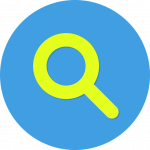 Google Trends: This little-known tool is pretty fun to just check out and see what everyone around the world is searching. But for our purposes, it’s also great to type in a keyword and see the exact number of searches performed over time. You can also compare searches to each other to determine which keyword has the higher volume of interest. Once you’ve identified your practice’s keywords, then you can move forward with creating a digital marketing strategy around how to rank high on search engines for those keywords and drive traffic to your website. If all of this seemed a little overwhelming, then check out our free eBook, 5 Factors of Digital Marketing Success. It’s a great starting point for your digital marketing journey and will walk you through the process. Here’s the link to download. « New Vive Family Chiropractic Website and More Just Launched!